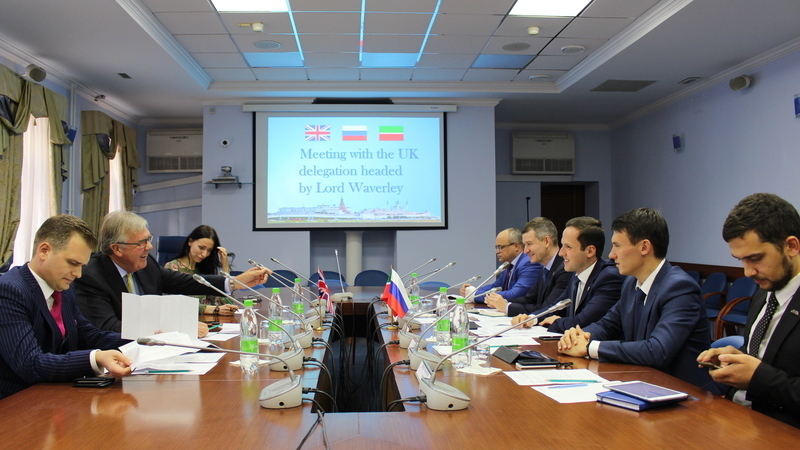 Today, the Tatarstan Ministry of Industry and Trade hosted a meeting with a member of the House of Lords of the United Kingdom, Deputy Chairman of the All-Party Parliamentary Group on Russia Lord John Desmond Waverley. The meeting was attended by Deputy Trade Representative of Russia in the UK Aleksandr Rumyantsev, as well as representatives of the Tatarstan Investment Development Agency, the Tatarstan Export Corporation, and the Tatarstan Ministry of Information and Communications. The meeting was held by Deputy Minister of Industry and Trade of Tatarstan German Lerner. Lord Waverley presented in detail all the options and opportunities for cross-border trade: “The basis for SupplyFinder is the business needs of the global economy, small and medium-sized businesses. SupplyFinder provides free market access and brings together industry professionals with key partners”. The parties agreed on further interaction. After the Ministry of Industry and Trade, Lord Waverley went to meet Tatarstan President Rustam Minnikhanov.